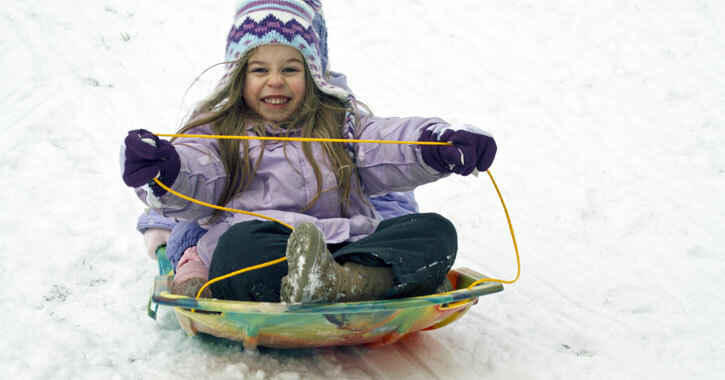 6 Regional Winter Events You Won't Want To Miss! Think you’ve done it all this winter season? Think again. We’ve rounded up six awesome events going on in the region that you might not know about. Don't give in to the temptation to stay indoors and hope for an early spring! Get out of the house and do wonders for your cabin fever and overall health and self esteem. From a fun winter festival, to a local wine and cheese tasting, to classic comfort food at a benefit, you’ll be winning winter with these six little known area events. Winterfest is happening at Lauderdale Park by Lake Lauderdale in Jackson, which is just east of Greenwich and Schuylerville. This is an activity-packed, family-friendly, free festival hosted by the Washington County Youth Bureau in collaboration with other area organizations. You can look forward to ice skating, snowshoeing, sledding, horse-drawn wagon rides, a bonfire, games, and activities. In addition, there will be a water rescue demonstration and a fish cleaning demonstration. While some of the activities going on will be weather-dependent, the event is taking place whether there’s snow, sunshine, or both. Have you ever been interested in fishing or ice fishing? Weather permitting, there will also be an ice fishing outing at the lake with no fishing license required! This could be a great chance to try out a new hobby you’ve always been curious about, or to simply learn about something new and exciting with your kids. Lake Lauderdale is a little known lake just about 10 minutes from the Vermont border and it’s a fantastic fishing spot. Species like tiger muskellunge, pumpkinseed, bluegill, black crappie, and yellow perch can be found here. If you’re not into fishing, no worries! There’s still plenty going on with horse-drawn wagon rides and more fun for the entire family. However, if you’re looking for a fun date night activity without the kids, you may want to check out an upcoming wine tasting. Everyone loves a great wine and cheese tasting and this is an excellent one to check out! The proceeds go towards a great cause and you can choose how much to give. 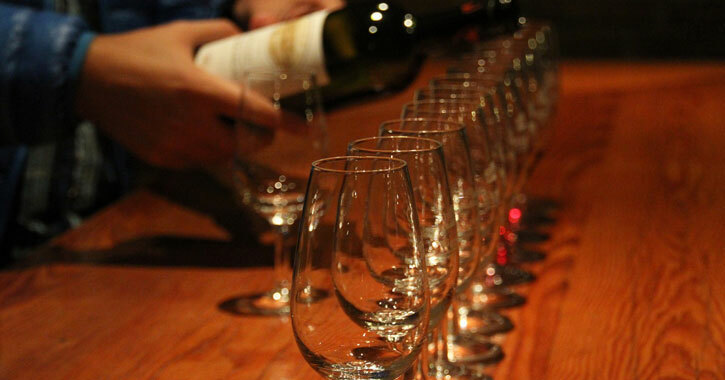 The Washington County Wine and Cheese Tasting is happening at The Strand Theater in Hudson Falls, you pay what you will, and then enjoy wine and cheese samples from area wineries, distilleries, and farms. If you like what you’ve tried you can buy some to take home. Wineries and distilleries participating include Amorici Vineyard, Hicks Orchard, Lake George Distilling, Oliva Vineyards, Spring Brook Hollow, and Victory View Vineyard. The wine and cheese tasting is happening during The Strand’s renovations – proceeds from the event will go towards The Strand, and you can take tours of the renovations and enjoy music from musician/composer Jonathan Newell while there. Newell also happens to be the Executive Director of the Hudson River Music Hall, which purchased The Strand building just a couple of years ago. Both venues are major Hudson Falls hotspots for live music and theatrical performances. The Strand Theater originally opened its doors in the early 1920s – it’s easy to see why this historic building needs an upgrade! The renovations are primarily being done by volunteers, which makes it even more important to support this significant part of our local arts community. 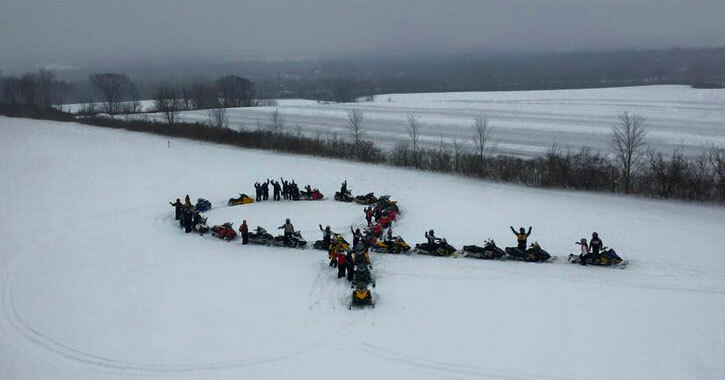 Speaking of supporting the local community, there’s a great, fun way to do so if you happen to be a snowmobiler. Attention snowmobilers! You can ride for a cause when you participate in the 10th Annual Purple Ribbon Cancer Ride. The ride will start at The Boar’s Nest in Fort Ann and the cost to ride is just $15 for ages 13 and up, $10 for ages 6 to 12, and kids 5 and under are free. Proceeds from this event will go towards various services to assist cancer patients. If there isn’t enough snow, the ride will be relocated a bit farther up north. After the ride, participants can enjoy dinner at The Boar’s Nest followed by a live auction. In past years, snowmobilers have raised over $19,000 for the Cancer Patient Assistance Services distributed through the C.R. Wood Cancer Center in Glens Falls. This cancer center offers a comprehensive program of services for those in the Glens Falls and Saratoga areas that ranges from advanced treatments to education to support to prevention, for all types of cancer. Snowmobilers will definitely want to participate in this worthwhile event for such a great cause. This is an excellent chance to partake in this classic winter sport, meet new people, and enjoy some savory pub grub. If classic comfort food is what you’re after this winter, you might want to check out a Blues & Brews event where you can enjoy wholesome food along with beer and blues music. 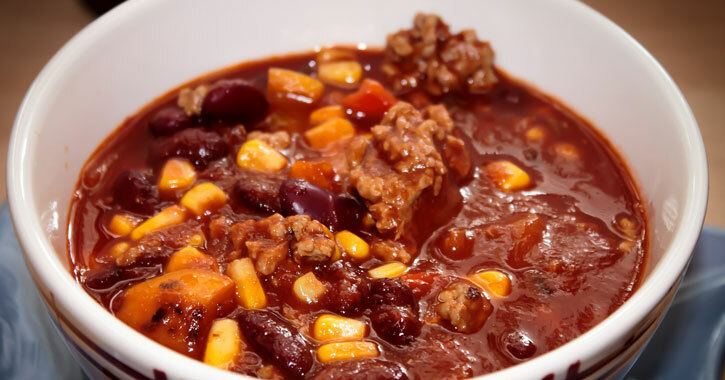 Chili, cornbread, and jambalaya – oh my! This Blues & Brews event at Hubbard Hall in Cambridge has more than just blues music and beer, but serious wintertime food that will be warming you up in no time. There will also be wine, desserts, and soft drinks, and the music will be provided by the Road Side Blues Band. This event is $20 for adults and $10 for kids 10 and under, with proceeds benefiting Hubbard Hall. The food and soft drinks are included in the price, and there will be a cash bar for beer and wine. Hubbard Hall is an arts and education center that brings people of all ages and from all walks of life together for world-class art and artists. You can see professional theater productions as well as opera and chamber performances here; they also offer classes and workshops on all areas of dance, movement, visual arts, music, and more. In addition to a robust arts scene, our area is also a haven for wildlife, with the beautiful Adirondacks and important nature centers and parks throughout the area. One of these critical habitats is the Washington County Grasslands, and you have an exclusive chance to see the fascinating birds that live in our region at this wildlife management area. The Friends of the Washington County Grasslands IBA is hosting a guided tour of the grasslands in Fort Edward where the group will be checking out the important birds in the area: short-eared owls, rough-legged hawks, and several other species. 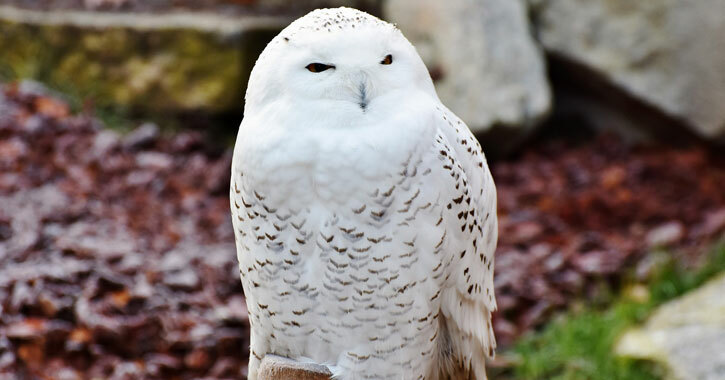 You might even get to see a snowy owl! Friends Director Laurie LaFond and field trip leader Bo Harris will be leading this tour. The group size is limited, so call Bo at 518.677.3350 to reserve your spot today. Then, grab a pair of binoculars and get ready to see a variety of different birds at this Owl Watch & Winter Raptor Viewing. The Friends of Washington County Grasslands IBA is a nonprofit group working to conserve critical habitat for New York’s endangered, threatened, and at-risk grassland birds. In particular, this organization is instrumental to the survival of short-eared owls in this state. The Washington County Grasslands encompasses 286 acres of former agricultural lands. Numerous private parties purchased these lands to ensure an area for wildlife management and wildlife-dependent recreation. Audubon New York designated a significant part of this area as an Important Bird Area, specifically for grassland birds, whose numbers are in sharp decline in New York. If you love spending time outdoors and exploring all our region has to offer, you’ll definitely want to mark your calendar for two “Winter Wonderland Days” happening at a place you may have frequented as a kid. Camp Chingachgook in Kattskill Bay is more than just a summer hotspot! 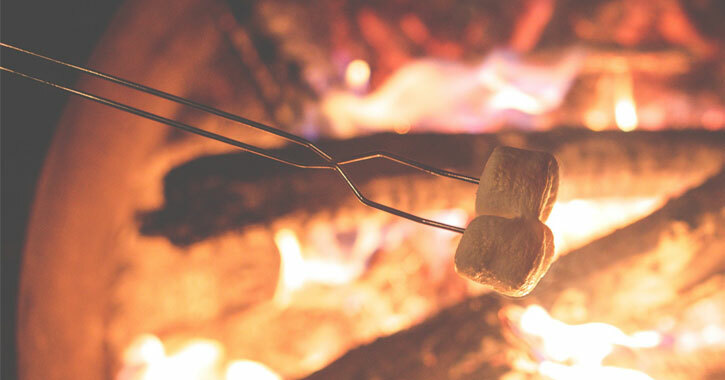 This camp is offering a two full days of seasonal fun at Winter Wonderland Days on February 17th and February 24th with snow tubing, snowshoeing, hikes, crafts, s’mores, hot cocoa, and more. And, it’s free – with lunch included! You may have attended camp here as a kid, participated in one of their retreats as an adult, or perhaps your own children go to camp here. Camp Chingachgook is located on the east shore of Lake George, and is bordered by thousands of acres of the Adirondack Forest Preserve, so it’s basically a kid’s summer dream come true. But did you know the camp is a part of the Capital District YMCA network? And, that they host retreats, weddings, and other special events? In addition, they have exciting winter happenings going on such as these Winter Wonderland days. Don’t forget about this Adirondack gem that is right in our own backyard, and take advantage of outdoor recreation and activities for the whole family all year long. Call 518.656.9462 to RSVP to one of the Winter Wonderland Days today.